Kansas versus Duke is a great basketball rivalry. Even though they've only played each other ten times, it feels like most of the time there's something at stake. And there is, because when you're talking college basketball, these are two of the top programs in the land, year in and year out. Oddly enough, they did not first meet on the basketball court until the preseason NIT in 1985. But they've also met in the NCAA Final (Duke's 1991 win), two NCAA Semifinals (KU lost in '86 and won in '88, part of Danny and the Miracles and two NCAA Regional Finals (split). Duke leads the series 7-3, but KU did win the most recent meeting last fall in the Champions Classic doubleheader in Chicago. They will both be at the Champions Classic again this year, but will not play each other. Instead, the Blue Devils will take on Michigan State and KU faces Kentucky. So that might be fun to watch. I mention this because Kansas versus Duke is clearly not a football rivalry. But they play each other this weekend (Saturday, 2:30 pm Central Time/12:30 Pacific/3:30 Eastern, ACC Regional/Fox Sports Midwest) in Durham, and it will be just the second time they've met on the gridiron. You would think they'd played before in football, but it's just the once so far. And it wasn't in 1935 or something like that, but 2009. KU won that game. It certainly appears Duke will even the series this weekend. I'm not giving my alma mater a chance. I actually think they'll get walloped. First of all, any time you almost blow a 28-0 lead to Southeast Missouri State, a feat KU nearly accomplished last week (they won 34-28), the chances of beating, uh, you know, anybody else, seem fairly slim. Also, Charlie Weis has never started 2-0 while KU's head coach. Admittedly, this is his third season in Lawrence. However, KU hasn't started two and oh since 2011. But it gets better. The time before that was 2009, when they won five in a row... including the win over Duke. 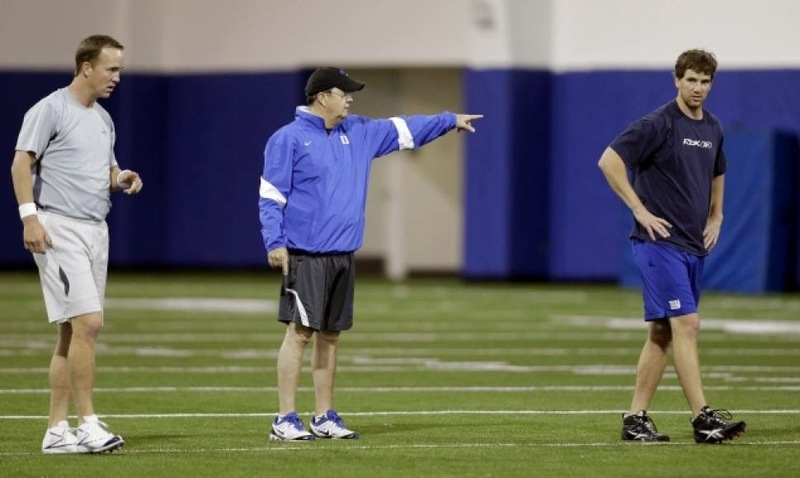 As for Duke, their football fortunes have turned under David Cutcliffe, who the coach for Duke then, and before that, was offensive coordinator and quarterbacks coach to both Peyton and Eli Manning in college. After Peyton had his five million neck surgeries, he re-learned how to throw during rehab sessions at Duke with Cutcliffe. A brilliant move on two parts: one, why wouldn't he go back to the guy who helped him become a top QB in the first place? And two, who would even look for Peyton Manning in a Duke football facility? Hell, who would look for a good football player at a Duke football facility, period? After last season, a lot of people. In 2013 Duke won 10 regular season games, the first ten-win season in school history. If you don't count the post-season (smoked by eventual BCS Champ Florida State in the ACC title game, losing a shootout to Johnny Football in the Peach Bowl), they've now won 10 in a row. But it gets better. It's taken Duke football less than a calendar year to win ten regular season games in a row. Before that? It took eight seasons. To win ten games, period, never mind in a row. And their starting QB, Anthony Boone, has 12 career victories. The Duke all-time leader at QB in that category is Jerry Barger. He has 17. That's the kind of football history Duke is fighting here. Regardless of the outcome Saturday, the recent Duke football success needs to force KU to take a good look at how they did it. Here's a small private school, really good at basketball but bad at football, who got a head coach and let him build the program the way he wanted, rather than firing him after a couple of really terrible seasons when it looked like they were going nowhere, again. It certainly does not seem like KU has the patience to let a football head coach develop. That's why they fired Turner Gill after two seasons, and that's why they hired a reclamation project like Charlie Weis. 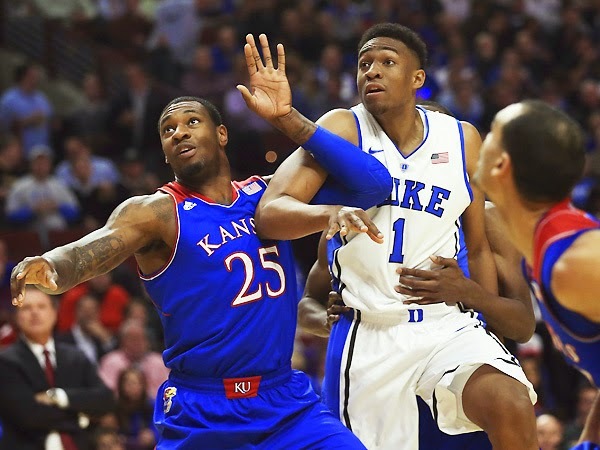 Duke versus Kansas football rivalry? Hell, right now I'd settle for a competitive game. Don't think I'm getting it Saturday. Sorry, your selection is unavailable. Would you like a football game instead?